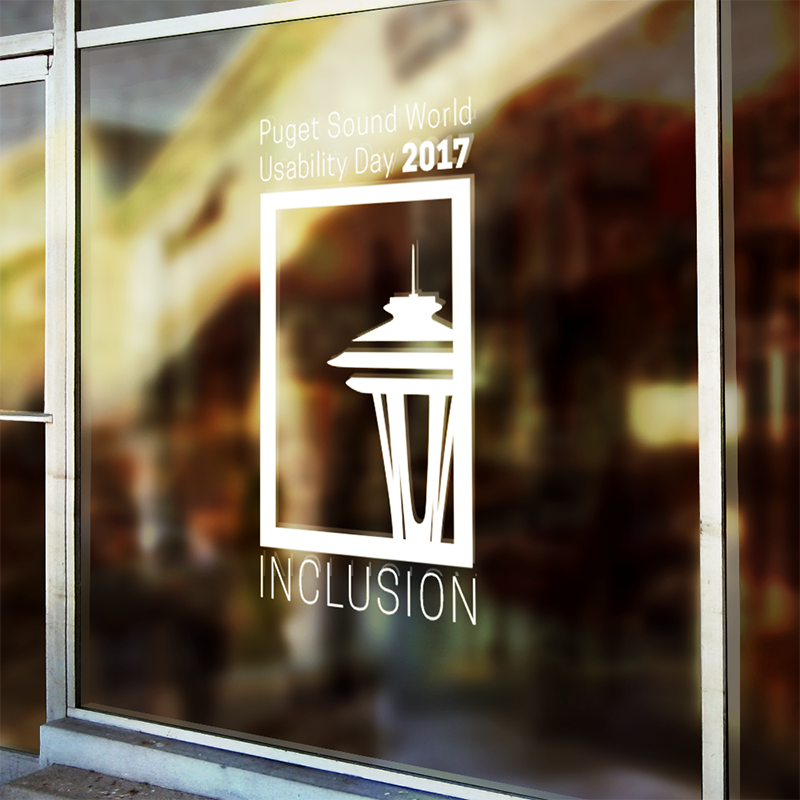 The 2017 Puget Sound conference was held at the Amazon Day One building in Seattle, WA. 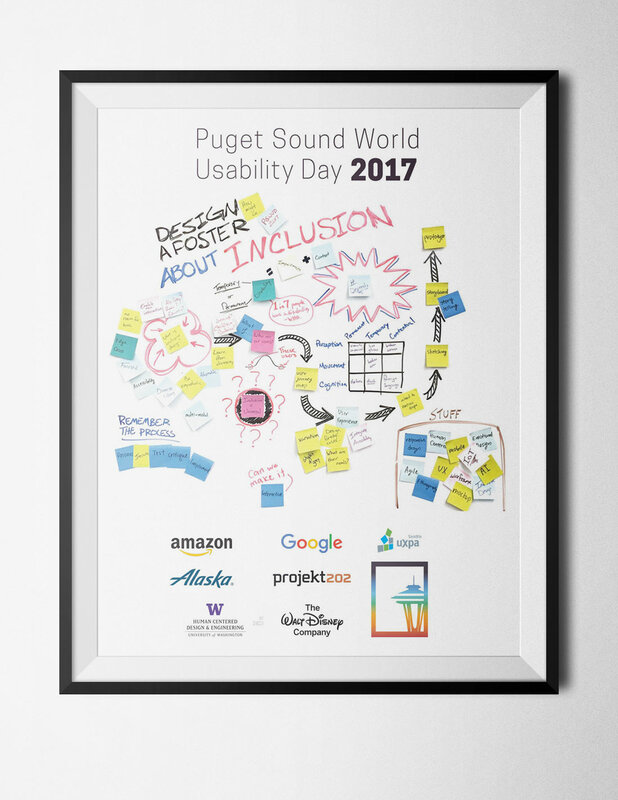 More than 200 people were in attendance for a series of sixteen speakers—including renowned Microsoft user researcher Bill Buxton—discussing inclusion in design. Talk topics ranged From civic engagement and machine learning to equity in technology. A panel discussion led by Google's Aideen Stronge and featuring influential women in the industry explored the realities facing women in UX. The planning committe decided early on that it was important that the visual elements were crafted with inclusivity and accessibility in mind. As a symbol, the rainbow has been used throughout history as a sign of a new era, of hope, and of social change. Another element that warranted exploration was the idea of a city-scape or skyline—both as a literal representation, and as a metaphor for the multitude of people living together harmoniously. 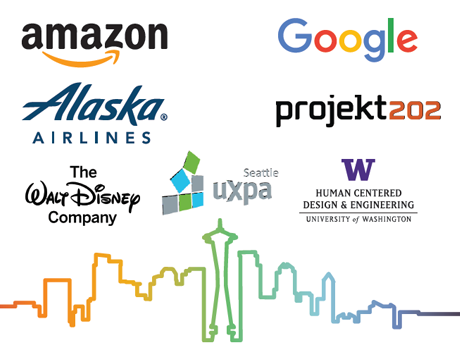 Initial logo prototypes featured iconic Seattle architecture set across a backdrop of rainbow colors. The logo sketches up to this point had issues with scale, and they were not suitable for reproduction at small sizes. I paired away as much excess as possible, eventually landing on a stylized reproduction of the iconic Space Needle, a recognized symbol of the Puget Sound area. 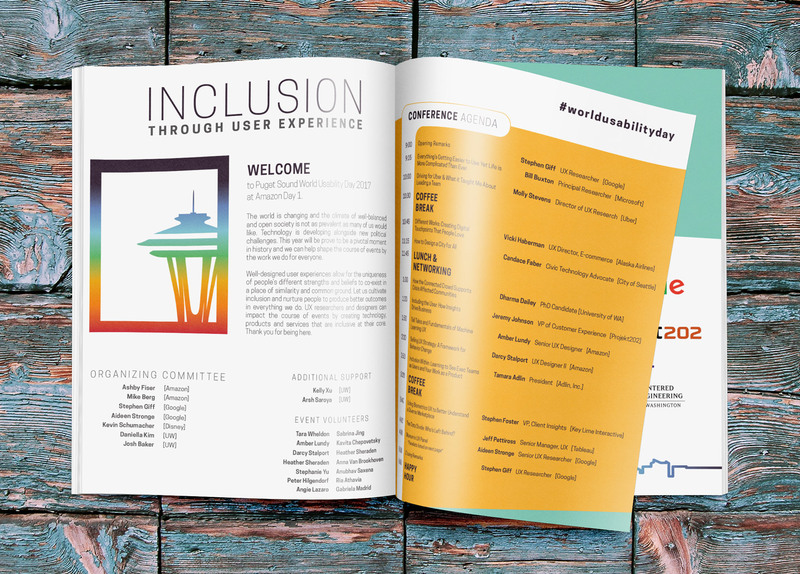 The event program was designed with readability in mind. The typeface, Cooper Hewitt, was chosen for it's clean yet elegant letterforms. 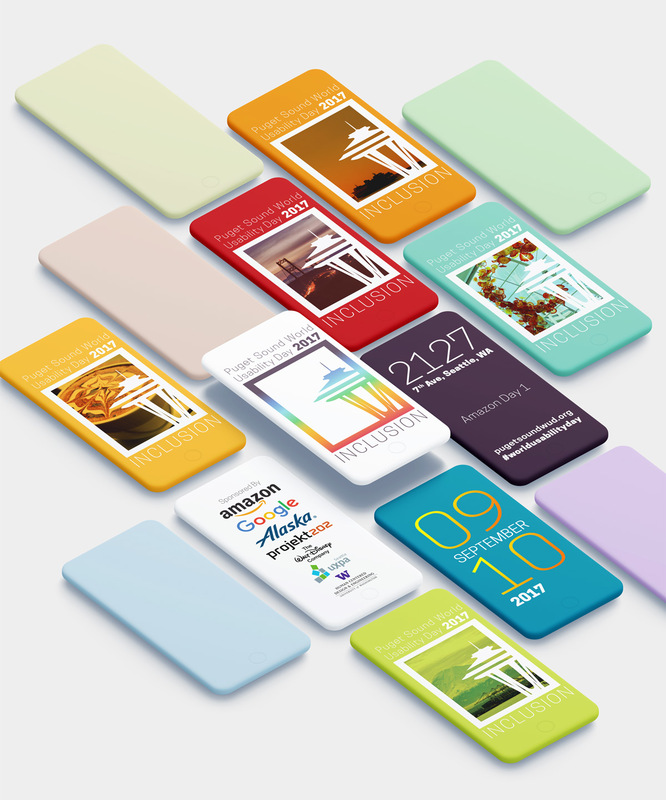 Colors were chosen to provide suitable contrast for colorblind readers.